As a key aspect of its preventing and countering violent extremism (P/CVE) programming, the Global Center partners with and supports civil society organizations (CSOs) around the world, and aims to maintain an awareness and responsiveness to the needs and challenges faced by these organizations as they undertake their work. 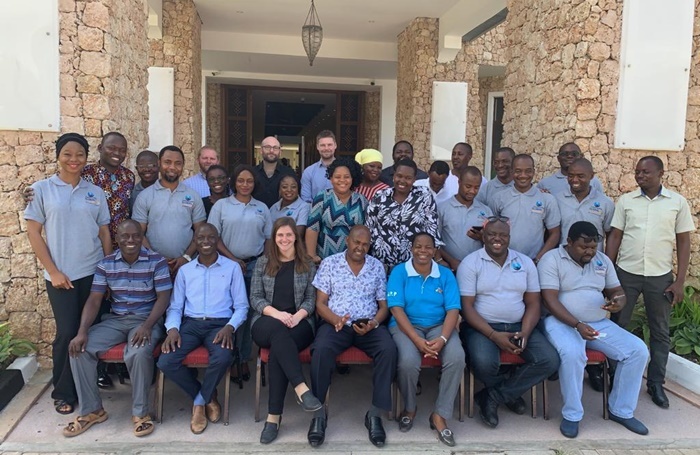 As part of this support to CSOs, and in cooperation with the Kenya Community Support Centre (KECOSCE) and Carefronting Nigeria, the Global Center hosted a capacity-building workshop for youth-based P/CVE organizations in Kenya. Funded by the US State Department’s Bureau of Democracy, Human Rights, and Labor, the workshop was delivered as part of a wider small grants process, in which 20 civil society organizations from across Kenya and Nigeria will be supported to implement projects aimed at empowering youth leaders to prevent and counter violent extremism, and build resilience in their communities. To support the implementation of these projects, the workshop brought together representatives of these CSOs to build and strengthen networks, and develop knowledge and understanding of a range of topics including program design, risk and organizational management, project finances, and fundraising.